Internet of Things (IoT) and machine-to-machine (M2M) technologies have given rise to new technologies like connected car telematics. Telematics is a field that encompasses telecommunications, vehicular technologies, road transportation, road safety, electrical engineering (sensors, instrumentation, wireless communications, etc. ), and computer science (multimedia, Internet, etc.). Internet of Things (IoT) eco-system in the cargo and logistics industry now acts as a fleet operator, where it talks to the Lorries or trucks and in return we get feedback from these Lorries and trucks. They check in to tell us where they are, how fast they’re going, whether they’re low on fuel, need air in the tires, or are just passing through particularly cold or hot weather. Thanks to the emerging field of fleet telematics, managers and drivers get feedback that allows them to change their practices for the better: improve route planning, change resting points for better driver alertness, even the awareness of the most fuel-efficient speed for specific loads on specific road surfaces. Telematics is also transforming business operations and customer engagement in the cargo and logistics sector. Companies that manage fleets can use fleet telematics to collect real-time information to optimize routes and increase productivity, control fuel costs, reduce operational expenses, improve driver safety, increase fleet security and remotely diagnose maintenance requirements. An important component of IoT is Vehicle Telematics, an IoT ecosystem in which real-time information and data available in vehicles is brought together seamlessly to provide rich and rewarding experiences to customers and businesses. Rapid economic growth and a rising middle class in India is driving consumption and domestic demand for hi–tech gadgets, consumer appliances and vehicle ownership in India. The economic progress combined with the Smart Cities mission is establishing India as a new market for connected navigation and telematics services. Smart Mobility is a key characteristic that will play a pivotal role in realizing the country’s ‘Smart Cities Mission’. Unlike its early days, the telematics system today is not limited to just tracking a path on the map but connectivity and telematics have the potential to transform the overall infrastructure in a country. To improve overall connectivity and infrastructure some key factors are playing a crucial role in advancing telematics technology as a response to such challenges. Firstly, rising role of IoT where consumers want technologies that are safer, entertaining, more efficient and better equipped to cope with congested urban environments. Secondly, rising awareness amongst buyers over the necessity and importance of connected services which will drive the market demand for telematics in coming years and lastly, the growing demand for safety in gadgets, automobiles, and consumer technologies where the current telematics environment is not only capable of reporting data on behavior patterns but is also capable of tracking performance, sending information pertaining to maintenance issues, location and other crucial reports. The telematics industry being one of the fastest growing segments in India is further impacted by dramatic increase in prices, safety issues, wastage and government policy changes. 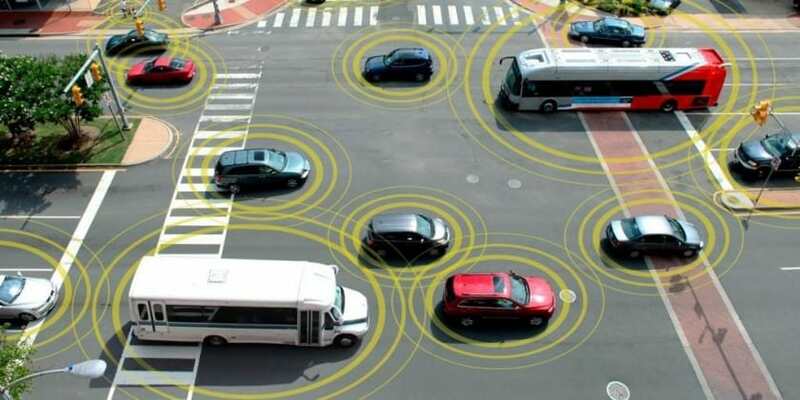 An interesting example is the Automotive industry where Telematics enables vehicle tracking, route calculation, fuel pilferage checks etc and this combined with Government’s increasing involvement in passenger safety and security, gives the much needed boost to the industry. According to market analyst, Indian telematics market is estimated to reach $301.23 million by 2021. In India’s telematics aftermarket segment has accounted for the largest market share and is anticipated to lead in the coming times. However, higher growth is exhibited in pre-embedded segment as automobile companies are collaborating with telematics manufacturing companies to develop in-built telematics systems that can be fitted in automobiles during the production process. Optimizing fuel cost is another factor, which has spurred the market for automotive telematics in India. Commercial segment accounts for majority of the market revenues. However, with growing awareness, adoption of Telematics is also on the rise in the passenger vehicle segment. Further, small and medium car segments offer high growth opportunities to the Telematics market players. Globally, Gartner, Inc. forecasts that 20.8 billion connected things will be in use by 2020, with an astounding 1 million devices coming online each hour. Everything from computers, smart phones, appliances, nodes, gateways, home security systems and cars are expected to be connected, inter-operating and sharing data. Also the market research analysts at Technavio have predicted that the commercial vehicle telematics market in India will grow steadily during the next four years and will post a CAGR of almost 16% by 2020. This market research analysis identifies the increased demand for vehicle tracking and monitoring systems in the logistics sector as one of the primary growth factors for the vehicle telematics market. The telematics market in India is in its nascent stages and is mainly used for basic services such as tracking and fleet management. With the onset of Smart Cities, Telematics would not only be restricted to the automotive sector but would also cross boundaries into sectors like consumer appliances, energy and others. Technologies like surveillance and IoT would play a critical role towards enabling smart cities. In the year 2017, we could see Industrial IoT taking shape across global markets. This segment would become very important as it would enable connected society. In this scenario we would see IoT driven seamless communication around critical eco-systems like vehicles, appliances, gadgets, virtualization technologies, Wireless and network infrastructure sectors. Within next 2-3 years, with the onset of 5G the whole Telematics IoT ecosystem would go to the next level. Driverless cars, Robots, Drone technologies and other inventions would change the way IoT is perceived as of today. 5G would bring in the new era of wireless revolution which would pave the way for confluence of IoT and new age communication infrastructure. Reshaping the Ecosystem of Telematics 0 out of 5 based on 0 ratings. 0 user reviews.